Holy Family Memorial’s Heart & Vascular Center is a provider of top-quality, comprehensive cardiac care in Manitowoc County. Featuring an award-winning 24/7 cardiac cath lab, our team quickly and expertly diagnoses, treats and manages everything from chest pain, heart attacks and congestive heart failure, to coronary artery disease, myocardial infarction, arrhythmias and hypertension. Get world-class heart care minutes from home from your dedicated hometown team at Holy Family Memorial. When minutes matter—we’re here for you. 24 hours a day, 7 days a week. HFM offers the only 24/7 cardiac cath lab in Manitowoc and Sheboygan counties. Our leading-edge cardiodiagnostics department provides a number of services to diagnose heart conditions. Connect with our team today. Prevent heart issues before they happen. Our Healthy Life Screens provide a unique and potentially life-saving opportunity to detect and treat heart and vascular diseases before a life-threatening event occurs. Be informed. Know the warning signs of a heart attack. 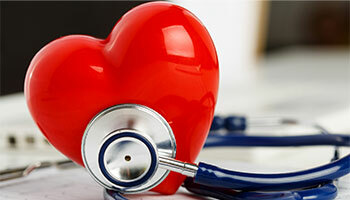 Excelling in top-quality cardiac care. Recognized by the nation’s leading heart experts. Get complete details on our cardiac awards and recognition by clicking learn more below.